June 18, 2012 Pilar B. When Zach was around 4 months old, we started noticing that he was extremely interested in watching us eat. He would follow our fork from plate to mouth, opening his mouth in imitation of our actions and salivating madly! We knew the time had come to begin the weaning process. He shows a strong interest in the eating habits of those around him. Weaning is a long process; the breast is still the main source of nutrition for several more months. Weaning is less about nutrition and more about physical and psychological development. (To learn the details of the weaning process, I recommend you read “Understanding the Human Being” by Dr. Silvana Montanaro, Director of Assistants to Infancy [0-3] training). 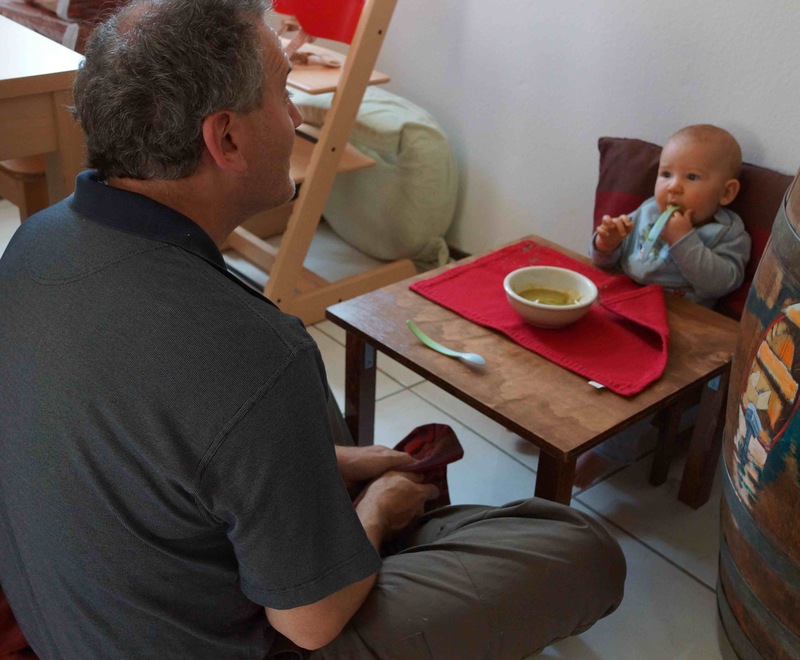 My husband and his sister made Zach a beautiful weaning table and chair when I was still pregnant, but any LOW table and chair will do for weaning (you can even buy an IKEA-style kids’ table and chair and cut the legs to make them lower to the ground). We placed a pillow on the chair to support Zach’s back because he still tipped sideways a little bit on occasion. I pureed steamed zucchini and placed it in a ceramic bowl (if it were to fall it would have real consequences and would provide an important lesson to Zach, which plastic would fail to do). My husband sat across the table from him and slowly began to feed him with a small spoon. As recommended in the A to I training, we gave Zach another spoon to hold, but he was not at all interested in it. He wanted to grab his daddy’s spoon and from the first bite was very active in his own feeding process. The video below shows how excited and focused he was. Note how the food is brought close to his mouth, but the spoon is not inserted until Zach willingly opens his mouth. Eating should be a pleasurable experience, and nothing ruins this for a child more than an obsessive parent who forcibly shovels food into a child’s mouth against his will. Zach was delighted with his newfound abilities; we were thrilled at his development. For us, nothing is more important than helping Zach in the road towards functional and psychological independence. I love nursing him, but I also love knowing that I am satisfying his developmental needs. My husband asked me if I was proud of our son. Actually, every normal child is capable of doing what my child is doing, so I don’t believe he’s achieved anything mind-blowing. Those who I am proud of are my husband and myself, because we put his developmental needs before our emotional attachments, which can be challenging for any parent. Thank you! You restore my belief in people to care for the child not just for their wants. Awesome! I am all for guiding the infant towards becoming more independent and tuning to her needs of physical growth, I use a weaning table everytime I introduce solids to my baby, so she understands that eating has its rituals, but honestly she is almost 12 months and still on breast milk. I wish she could wean but she likes to nurse and requests it (we use sign language) and I truly want to stay away from formula until she can eat regular food and we all know that mama’s milk supply can be kept only by frequent nursing. I wonder how other Montessori mamas have handled this ? I have not done much reading regarding infancy and weaning ‘the Montessori way’ but one thing comes to mind is Dr Montessori’s own life circumstances. I wonder how she would have addressed exclusive breastfeeding if she had the opportunity of keeping with her her son Mario after birth? in the light of the current research on the extra ordinary qualities of breast milk, one can only imagine what Dr Montessori could say! Thanks for your comment, Sal. I’m not A to I trained, so I don’t have all the knowledge from the training, but I do know that the “Montessori way” of approaching infant development is quite up-to-date since it is based on 100 years of research and scientific observation (as is the whole of the Montessori approach). The method bears one person’s name, but the philosophy is the result of the work of many brilliant scientists/educators over the decades, all observing, recording and analyzing the natural behaviors of children. I highly recommend you read “Understanding the Human Being”. Dr. Montanaro is a modern MD and she discusses at length the importance of breast milk, while also addressing the proper weaning process that supports a child’s development. She says that if you start the weaning process at 5 months (with some preliminary preparation starting in month 3), you should be feeding your child mostly solids by the time she is 9 months old. Yes, breast milk has extraordinary qualities (and she discusses them at length), but it also lacks iron, fiber, protein, calcium, and minerals that are essential to the proper physical development of the older child. She points out that by 8-9 months of age, the child should be able to eat almost every adult food. Since the child at that point is conscious that she is eating all her meals like the other human beings in the household, she will naturally detach herself from nursing because she doesn’t need it anymore. Sometimes we’re the ones who create the need by not respecting and honoring certain sensitive periods (aka, windows of opportunity). You mention that you want to keep nursing “until she can eat regular food”; by 9 months of age, she should be able to eat everything your family consumes. She doesn’t NEED breast milk anymore. She still needs you, but in a different way. She now needs you to show her how to be a part of her social group and needs you to help her meet a developmental and psychological milestone! I think that’s an equally important role for a mother to have!! It is hard to discount the benefits of extended breastfeeding, including physical and mental health, and intelligence. Sometimes in our zeal to follow a philosophy we overlook the purely logical. My children are very happy, healthy and independent, yet both nursed until they were done. That meant my son in particular only played with eating solids (enjoyed experiencing tastes and textures) until he was about 13 months. That being said, if you are not comfortable continuing to nurse, perhaps you should stop or significantly cut back. As the author suggested, your daughter is physiologically ready for eating the same foods that you do! In some rare cases a young child will become very ill and need breast milk for nourishment, but amazingly, our bodies CAN stop and later restart lactation. 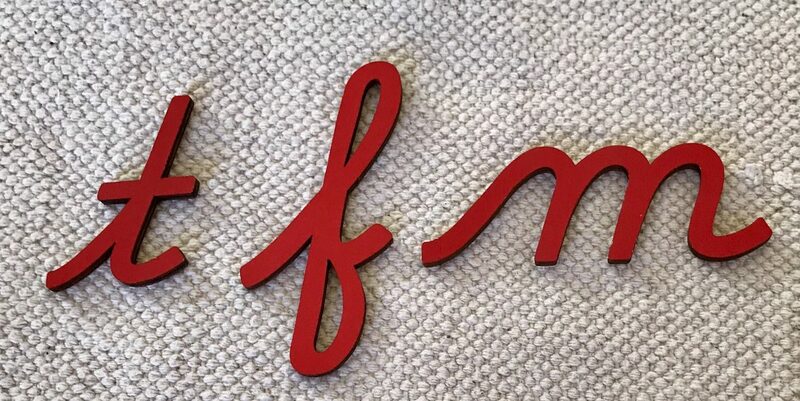 I find Montessori’s work more than amazingly beautiful, but it does not have to dictate every mothering move you make without any questioning or discussion. Well put, Joya!!! Montessori is about following the child… If your child wants to nurse, then nurse! If your child wants to eat solids, then introduce solids! All that to say that just because it’s a “Montessori recommendation” doesn’t mean it’s the absolute truth and in the end, always best to follow the child! Daisy, as long as it’s the child setting the pace and not the parent slowing him down, then if a child is not interested in solids there’s no need to force the issue. I still nurse my child and plan to do so for several more months, but he’s showing a clear preference for solids and I plan to follow his lead. I can’t imagine NOT feeding my child solids at this point; he’s so big (98% percentile) that my milk wasn’t cutting it (and I have good milk!!!!). By the way, my edition of Dr. Montanaro’s book was published in 2007. How do you get a 4 mo. old to sit in a chair without falling out??? My 10 mo. old would just arch his back and slide right out the bottom. he tries to do that in his high chair (now using a restaurant style wooden high chair that comes up to the dining room table) and if he didn’t have a strap in between his legs he would fall right out. Melissa… Honestly, my son is the only experience I have, and so far he’s been happy in his chair. What I do is that I wait until everything is ready and set out on the table before I sit him down. Then, he’s so interested in the food that he doesn’t even realize he’s sitting down. I imagine that if I were to sit him down with nothing in front of him he would react just like your son. 🙂 Every child is different… My motto is “Do whatever works”. 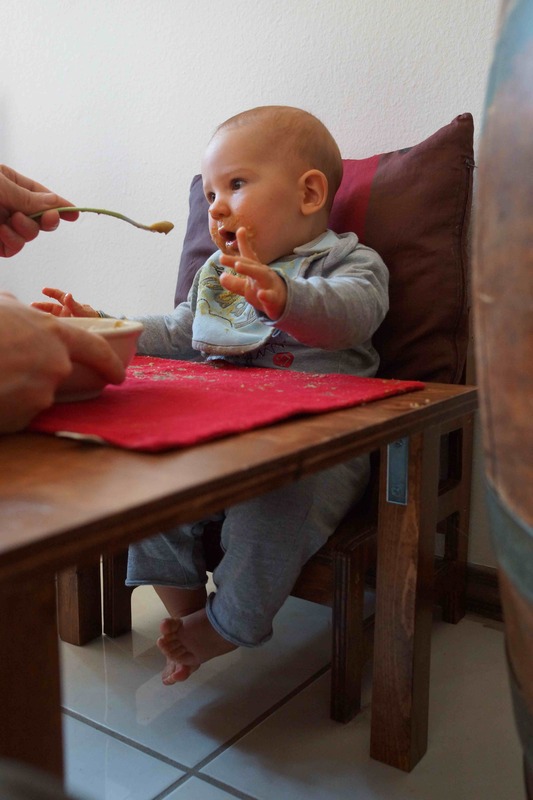 Weaning is about the psychological space between the child and mother, so I imagine that if sitting on a pillow on the floor across from you works (using a very low table for the food), then you should do that (Japanese-style)! If the high chair works, then use that… The main idea is that the child should no longer be on your lap and should be facing you across a table. And keep in mind that “this too shall pass” and one day he’ll stop trying to fling himself out of chairs! Good luck! There is a detachtable weight under the chair and the table. Theese will not move anywere if you do not move them. We have taken the weight from the chair as soon as the child wants to climb her/himself into the chair. Children makes allways some guest to ask move the table with 16 kg weigt… it is their joke. “Arms” on the chair are important. Fantastic presentation of a child’s ability and natural interest. Chairs and tables sometime need glides installed on the bottom of the legs, or removed, or rubber tips to cover the ends, in order to eliminate shoving the chair or table around the room. It’s way fun, of course, but can have dramatic consequences as the child gets bigger, stronger and older–the whole house can be rearranged in minutes. You make a great point, Jim! Arms are essential, and it’s also recommended that the chair and table be weighed down. Thanks for your comment! Re: breastfeeding– keep in mind that the WHO recommends breastfeeding until age 2, based on lots of research on the many benefits of breastmilk, and most doctors today say 1 year is the absolute minimum for feeding breastmilk or formula– they really need that nutrition (especially all the good fat & protein, etc) through that first year. I know many montessorians who breastfeeding their children well past their first birthday, allowing the child to wean when he or she decided (I believe the average age of fully weaning off the breast, when the child is allowed to decide this, is between 2-3yrs old at least in cultures that are accepting of “extended” nursing). It’s impossible to force a child to breastfeeding if he or she isn’t interested, so it’s not like parents ever make their kids continue when they’d rather stop. ; ) When to wean off the breat is a personal decision based on mom’s and baby’s needs. I’m curious what A to I has to say about Baby-Led Weaning, aka the practice of allowing the child to eat whole, soft foods that he can hold and eat himself, as opposed to purees? I loved this post! It made me realize I should go ahead and get the weaning table now instead of waiting until 6 months. Could you tell me which song is playing in the video? I’d love to buy it for my son. Hi Sarah! Yes, definitely have the weaning table available from the start, you never know when your baby will be ready! The song is called “Touchia Sana’a”. Hi, love your blog – would like to know the height of the chair and weaning table please. 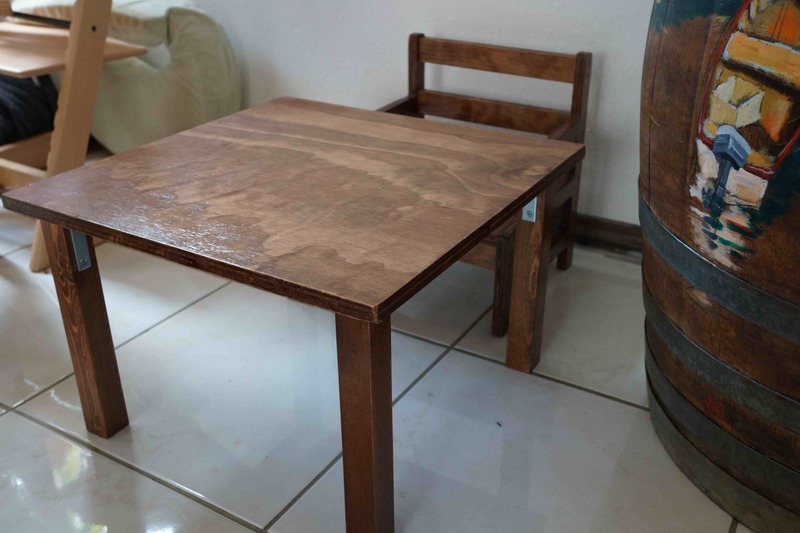 Here are the dimensions: the table is supposed to be 20″x20″ and 13.5″ high and the chair should fit under it. You might be able to google the exact dimensions for the chair, my husband made ours based on a blueprint a friend gave us (but I don’t have it anymore). I wish I could be more helpful!! Hi Gaby, I honestly don’t know the weight because it is currently being used by a friend so I can’t weigh it! It depends on the wood used, but the idea is that it shouldn’t be too heavy so that the child can carry the chair and table once he/she is walking steadily, and so that if she bumps into the table, it will move to show her the effect of her movement. I hope this helps!